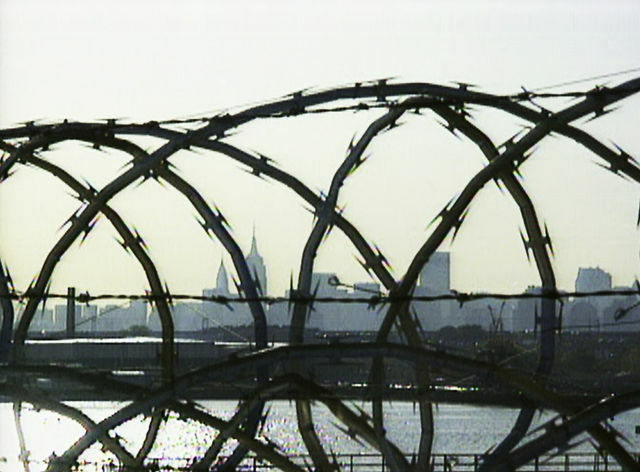 Two recent reports provide a scathing picture of how solitary confinement is employed as a routine disciplinary measure on Rikers Island and in other city jails. The reports are particularly critical of the use of extreme isolation and deprivation on individuals with psychological disabilities, including mentally ill teenagers. The two reports were prepared for the Board of Correction (BOC), which functions as the oversight agency for the New York City jail system, ensuring that all city correctional facilities comply with minimum regulations of care. In recent months, under pressure from local activists, the BOC has been reconsidering the liberal use of solitary confinement in the city’s jails, and conducting fact-finding on the subject. The first of two reports commissioned by the BOC was released in September 2013. Dr. James Gilligan and Dr. Bandy Lee authored the report, addressing the use of solitary confinement in the city’s jails. This past June, Dr. Gilligan and Dr. Lee were asked to assess whether the city’s jails were in compliance with the current Mental Health Minimum Standards set forth by the Board of Correction. On Rikers Island, which houses more than 10,000 of the 13,000 women, men and children in the city’s jails, 1 in every 10 people is in isolated confinement at any time. Many are placed there for nonviolent offenses at the discretion of corrections officers. This distinguishes New York as a city with one of the highest rates of prison isolation in the country–about double the national average. The report’s findings are a resounding criticism of the current use of punitive segregation, and point both to violations of the Mental Health Minimum Standards as well as to practices within the jail system that are harmful to those who suffer from mental illness. The report’s authors point to snapshot data in which the number of people with mental illness in solitary confinement is almost double the number of those with mental illness in the jail population generally. The authors conclude that mentally ill people in the jail system are being disproportionately placed in solitary confinement. The report also claims that the nation’s prisons and jails have become “de facto mental hospitals,” pointing to the fact that roughly 95% of people with mental illness who are currently institutionalized are in correctional facilities, while only 5% are in mental hospitals. The Mental Health Minimum Standards mandate that mental healthcare be provided in a setting that is conducive to care and treatment. The report contends that prolonged use of solitary confinement for mentally ill people violates these Standards, because it has been used punitively, to create a stressful environment and to remove social contact, rather than to provide therapeutic services. The city responded to the report with a point-by-point rejection of its findings, claiming that the principal conclusions drawn by Drs. Gilligan and Lee were based on an erroneous legal interpretation of the Mental Health Minimum Standards and that the report’s conclusions and further recommendations were unsupported by sufficient evidence. This response was put forth by a multiple agencies, including the Office of the Mayor, the Department of Corrections and the Department of Health and Mental Hygiene. Drs. Gilligan and Lee responded in turn, claiming that a strictly legal interpretation ignored the changing conditions of the current prison system as well as a misunderstanding of human psychology and behavior. In order to reach a true understanding of the harm caused by punitive segregation, the authors say, we need to take into account the psychological effects of isolation, as well as the recent influx of people with mental illness into our prisons and jails. One week after Drs. Gilligan and Lee published their report, the BOC voted unanimously to begin rulemaking to limit the use of solitary confinement in New York City. These events follow a meeting held in June, in which the Board of Correction voted against limiting solitary confinement in the city’s jails, rejecting a petition put forth by the grassroots group known as the Jails Action Committee (JAC). The petition, if it had been accepted, would have limited solitary confinement as a last resort punishment for violent behavior only, and banned it entirely for children, young adults, and those with mental and physical disabilities. BOC member Dr. Robert Cohen, a Manhattan physician and expert on prison health and mental health care, vocally supported JAC’s petition. At this June meeting, he called the use of solitary “dangerous,” especially for people with mental illness and adolescents, who are confined in punitive segregation at particularly high rates. “During the past three years,” he pointed out, ”the percentage of prisoners languishing in solitary confinement has increased dramatically, without benefit in terms of decreased violence or increased safety on Rikers Island,” either for corrections officers or the prisoners themselves. Dr. Cohen’s statement rings especially true after the release of the most recent BOC report in October, one month after the first report was published. Providing new information about the suffering of mentally ill youth placed in solitary confinement, the report describes the experiences of three adolescent boys at Rikers Island, each held in punitive segregation for more than 200 days, each suffering from mental illness. Youth and adolescents are among the most vulnerable populations in New York’s jail system; the report makes clear, however, that segregating mentally ill youth as a form of punishment is both negligent and dangerous. The city has yet to respond to this latest criticism of solitary confinement. The consequences of time spent in solitary confinement are lengthy and harmful, Cohen and other experts say; they include negative effects on mental health, including severe depression, anxiety, hallucinations, paranoia, insomnia, and panic attacks. Furthermore, studies have shown that common patterns of depression, anxiety, anger, and suicidal thoughts often leave individuals more prone to unstable and violent behavior, which can in turn lead to higher rates of recidivism. This entry was posted in News and tagged abuse, Activism, Board of Correction, Civil Liberties/Civil Rights, Juveniles, Mental Illness, Mental Illness, New York, New York City jails, Prison Health Care, Psychological Effects, Rikers Island, Solitary Confinement. Bookmark the permalink. In a somewhat evasive response Samuels told the Committee that there are approximately 4,000 fewer inmates in “restricted housing” today but he did not even mention the mentally ill federal prisoners under his supervision in his response. The senator, for his part, did not press the BOP chief for a clarification but went on to talk about the relative costs of confinement at Guantanamo Bay, Cuba, as opposed to confinement on the American mainland. After all, it all boils down to such a cost benefit analysis in the end. I recall Your earlier article on this subject. “Meanwhile, the federal government has completed purchase of a prison meant to house still more isolation cells. Awe I see the reason for Durban’s line of questioning yesterday now. And as for the 4,000 fewer inmates in SHU’s there is this possibility also from your earlier article. This is a distinction without much of a difference. The United States began emptying out its vast asylum system in the 1960s, spurred by scathing reports of abuse and neglect, like a 1946 Life magazine exposé that described many institutions as “little more than concentration camps.” The transition to community-based care cut the institutionalized population by more than 90 percent by 1994. Do we dare go back? How will we monitor them if/when we do? Maybe we just need to provide meaningful work at a living wage. The few middle class jobs left are in health care, teaching and prisons leaving the rest in low wage positions unable to make ends meet. In addition to its effects on our physical health, financial stress threatens our mental well-being. A recent study found that unemployment, whether voluntary or involuntary, can significantly impact a person’s mental health. It should come to no surprise then that, one out of every five American adults had mental illness in 2011, as reported by the Substance Abuse and Mental Health Services Administration. But only one of two Americans needing mental health care can afford treatment. The general attitude of the unemployed is there is just no hope of ever finding a job with a livable wage. Thus drug use has followed the skyrocketing unemployment rate. No wonder the drug of choice these days is heroin or so I’m told. Heroin is no party drug; the users simply shoot up then nod in and out of consciousness. The goal of the user is to escape their reality and into a state of euphoria. A few of the headlines in the news sound similar. Typhoon Haiyan: eight die in food stampede amid desperate wait for aid. Thousands storm rice warehouse in the devastated central Philippines while Haiyan relief effort flounders. Since the storm, people have broken into homes, malls and garages, where they have stripped the shelves of food, water and other goods. Authorities have struggled to stop the looting. There have also been unconfirmed reports of armed gangs of robbers operating in a systematic manner. MANILA, Philippines – Alleged members of the New People’s Army (NPA) attacked trucks carrying relief goods to victims of supertyphoon “Yolanda” in a Leyte town. My 87 year old father was living in Leyte. I have not heard from him since the storm.